Sometimes when visiting galleries or museums, I find myself wondering why a piece was included. Whenever I&apos;d sense that I was looking at something poorly executed or gratuitous, a nagging concern that I was not educated or qualified enough to evaluate the work would persuade me of its worth. This initially seemed reasonable — after all, I am a Western millennial who has been raised to believe that art is inherently subjective. In the contemporary art world, anything goes. I am not criticizing this aspect of high art, but simply stating the obvious. For this reality, we can mostly thank Marcel Duchamp and his ideological contemporaries. Duchamp (the creator of the famous "Fountain") was not the first to claim that assert the overriding power of artistic intention, but he became one of the most famous artists to do so. "Fountain" — Marcel Duchamp, 1917 (Reproduction 1964). When it first came to popularity, this idea of the artist&apos;s supreme authority to claim anything as art was radical. It gave consumers and producers a lot of opportunities to experiment, play, and remove ourselves from the traditional boundaries of "art." 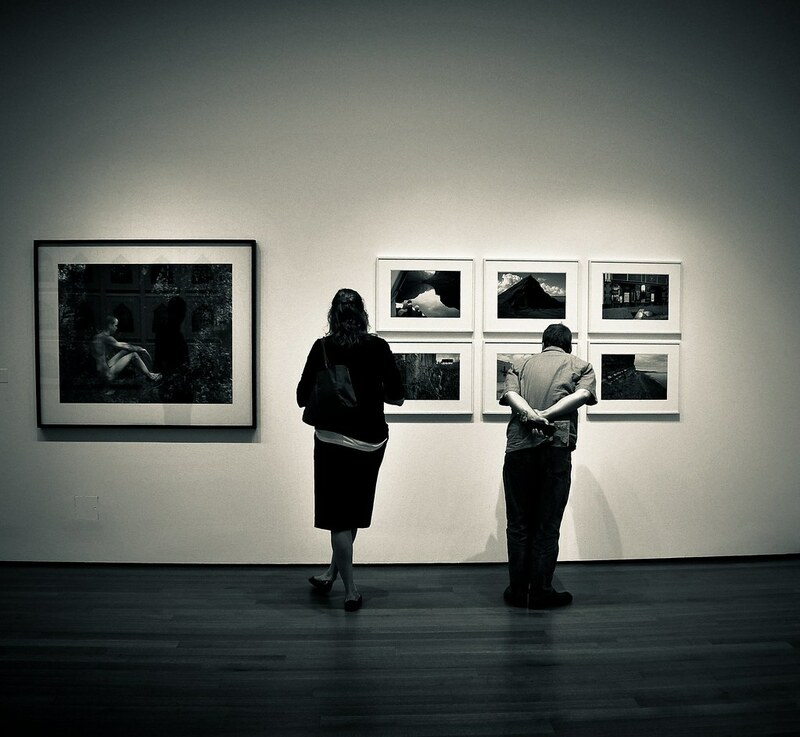 The idea that the artist defines the artwork quickly diminished the viewer&apos;s experience with the artwork and eroded the authority of the viewer&apos;s perspective. In this belief system, the artist has the ultimate trump card: "you don&apos;t understand." Conversation over; viewer hushed and shamed into silence. This eventuality is exactly why people are timid about expressing their opinions about art if they have a lick of sense (this from art school experience), and why casual art consumers leave it to so-called and sometimes self-proclaimed experts to tell us what is art. People have begun to believe that their opinions are unqualified and do not matter. "The River Seine at Chatou" — Maurice de Vlauminck, 1906. Life is, by all judgments, a subjective experience. And yet, we still trust in the ability of people to evaluate and share their perceptions in journalism, storytelling, history, law, and science. It is the responsibility of the artist, the scientist, and the historian to convey an individual&apos;s window on the world. Art is not a one-sided conversation, and it doesn&apos;t help to continue acting like it is. We also gave up our ability to judge art when we accepted the idea that art could be whatever the artist said it was because the idea of good or bad became completely irrelevant. If you "don&apos;t understand" something, you cannot evaluate it — even in a relative sense. This occurs both by mistake and possibly by design. This pseudo-Utopian ideal that all art is good art is seductive, but ultimately limiting. It is limiting because, if it is impossible to create bad art, then any art is as good and as important and as enlightening as any other. And if it&apos;s all the same, then as a creator and a consumer, why bother with the effort of trying to understand it? Post-modern and contemporary art are crafting their own answers to that question, but those answers are beginning to feel like dead ends to me. I&apos;m not arguing that there are absolute evaluations of good art. I am instead saying that I believe there are absolute qualities of good art. Good art connects us by sharing vision, experience, and insight. If a piece of art genuinely moves only one person, it is still good art. If it moves many people, it might be great art. If it moves you only because you think that it ought to, then it is time to start thinking about why. This does involve a Pollyanna-ish expectation of self-awareness and belief in the ability to people to be confident in their own perspectives. At the very least, it requires thoughtfulness. "Zhenmushou (tomb guardian)" — Unknown, 6th c.
Art should not be bewildering or impenetrable. It is as universal as any individual Human experience, writ large. Art is a shared conversation, a conceptual public debate. People should feel empowered to evaluate art and call it like they see it without fearing the claim of being unenlightened. So long as the evaluation is developed and defensible, it is legitimate. "You don&apos;t understand" isn&apos;t a defense, for anyone. Instead, let&apos;s try "show me." A major part of what I&apos;m saying is this: if you can&apos;t see the emperor&apos;s clothes, it is most definitely okay to say so.